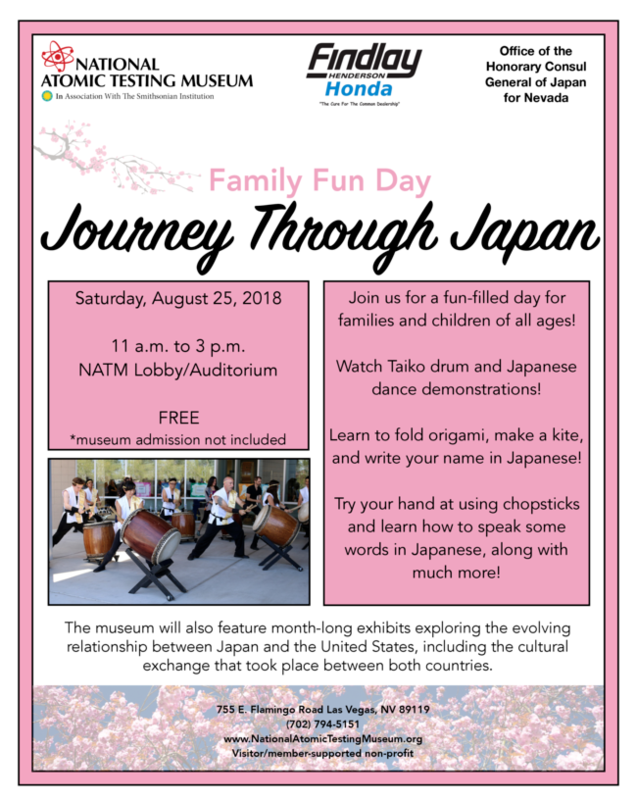 The National Atomic Testing Museum will be hosting their annual Journey Through Japan family fun day. There will be activities like origami and kite-making as well as entertainment. Korabo will be performing at approximately 2:45pm. This event is free!